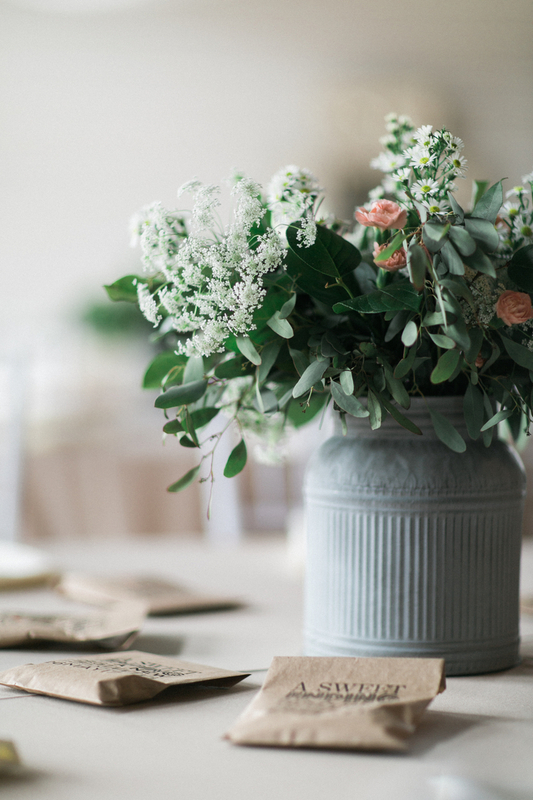 Here at Laughing Earth Flowers we mostly do arrangements for brides that are looking for lush, garden style bouquets and centerpieces, so it was a refreshing change to “bring it down” a notch and do some very simple arrangements for Jana and Thomas. 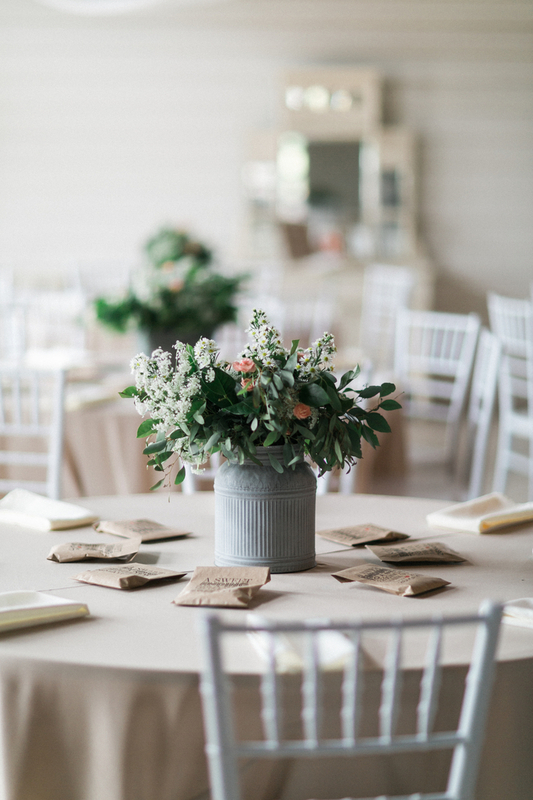 The venue – the charming Flying V Ranch in Decatur, TX – was the perfect setting for this rustic gem, and Jana’s colors of soft peach and ivory added the perfect touch of country for all the flowers. 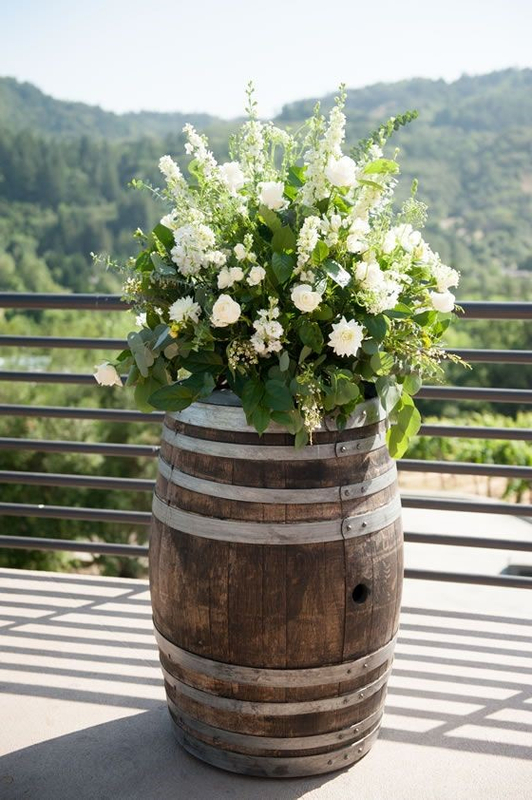 She wanted us to fill her metal milk cans and buckets with flowers that looked like we picked them from a field, so we used sweet spray Carnations, roses, Queen Anne’s Lace, and (of course!) 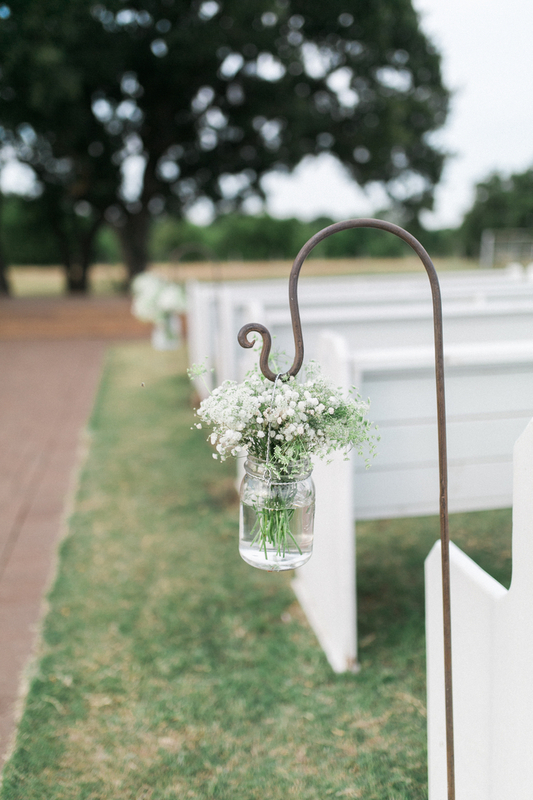 Baby’s Breath. Enjoy! Photos by Jessica Shae.